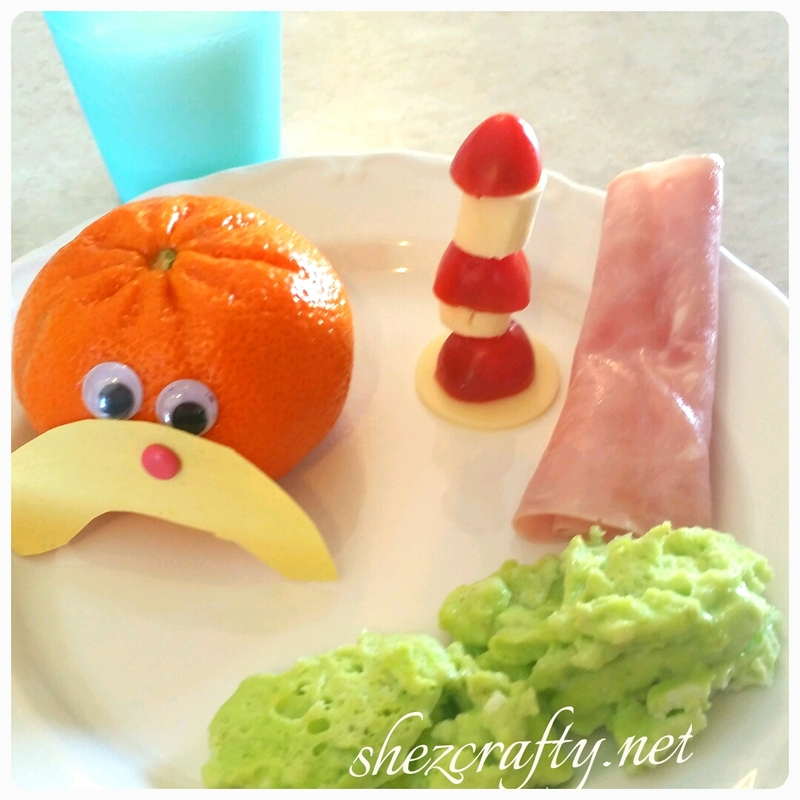 Green eggs and ham, Dr.Suess hats(cherry tomatoes and cheese), and Lorax oranges. She'z Crafty on Catipiller to Butterfly! merissawrites on Catipiller to Butterfly!